If you’re up-to-date with the latest health trends then you’re probably familiar with the health benefits of coconut oil, adding it to anything from your food, skin, and hair. Thus, shelves of health food stores around the country are loaded with unrefined, organic coconut oil. Since pet owners noticed its health benefits for themselves, now they want to include coconut oil into their dog’s life as well. After all, every dog lover would go to great lengths to ensure their dog is happy and fit. Coconut oil is helpful for a variety of skin conditions like hot spots, dry skin, eczema, yeast and fungal infections, stings, and bites. If you want to apply it for skin conditions like itchy ears or paws, you should run a small amount on the affected area several times a day. Moreover, dogs would love to receive a coconut oil spa treatment from their loving master. Coconut oil usually starts to soften or liquefy around 78 ºF, so if it’s a bit thick, rub your hands together and it will instantly melt, resulting in a fabulous oil to treat your dog’s irritated skin. Another potential benefit of coconut oil is a sleek and glossy coat for your furry friend. However, always consult with your vet first if you’d like to add coconut oil to your dog’s food and promote coat health. Since coconut oil has natural antibacterial, antiviral and anti-fungal properties, it’s a good choice for treating small or superficial wounds in dogs. If your dog starts licking it, don’t worry as ingesting coconut oil is completely safe. It can even improve your dog’s breath! Furthermore, you can put your canine friend in a doggy sweater and see that the coconut oil fully absorbs into their skin, which usually takes about five minutes. No dog owner wants to see their dog’s cognitive ability decline. Thus, another benefit of coconut oil for dogs is treating their aging brain since coconut oil is believed to stave off dementia in people. Apart from helping your canine friend’s breath, coconut oil can help improve their smell. It is basically a mouthwash and deodorant in one! If you want to fight some offensive odors that come from your dog, you should add small amounts of coconut oil to your dog’s diet. When it comes to oral care, it’s advisable to give one teaspoon per 10 pounds of dog, or one tablespoon for a 30-pound dog. Coconut oil is also a safe way for your dog to lose weight. So, if your pup’s a bit on the chubby side, adding coconut oil to their diet will have them slim down really soon. 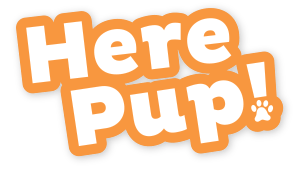 Of course, you should also check with your vet about an appropriate plan for your dog and do not neglect exercise. Since coconut oil can regulate and balance insulin, including it in your dog’s diet can control their diabetes. In any case, consult with your vet before giving it to your diabetic dog. Two of coconut oil’s unique ingredients: lauric acid and caprylic acid help fight off yeast overgrowth and bacterial infections, making it an amazing immunity booster. 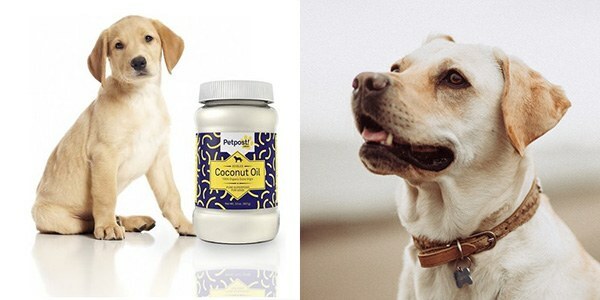 Due to its antiviral properties, coconut oil is beneficial for your dog’s overall health. Coconut oil can help your four-legged friend absorb nutrients easier, resulting in a faster metabolism. It’s also helpful for colitis and irritable bowel syndrome. 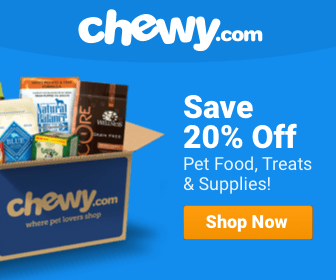 Where to buy the healthier coconut oil for dogs?